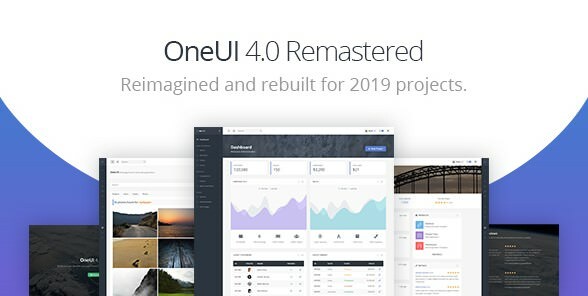 OneUI is a super flexible Bootstrap 4 admin dashboard template and UI framework with Laravel support that will enable you to build all kinds of pages using the same fast and powerful layout. OneUI was built with Sass and ECMAScript 6 (ES6) and comes packed with smart developer tools such as webpack 4, Babel 7, Gulp 4, Autoprefixer and Browsersync which will save you time and help you build your project faster and more efficiently. It comes packed with both HTML and PHP versions to help you rocket start your project your way. A Laravel Starter Kit is also included to help you build your Laravel based project. It is completely modular with many unique features and will help you build your next awesome idea.